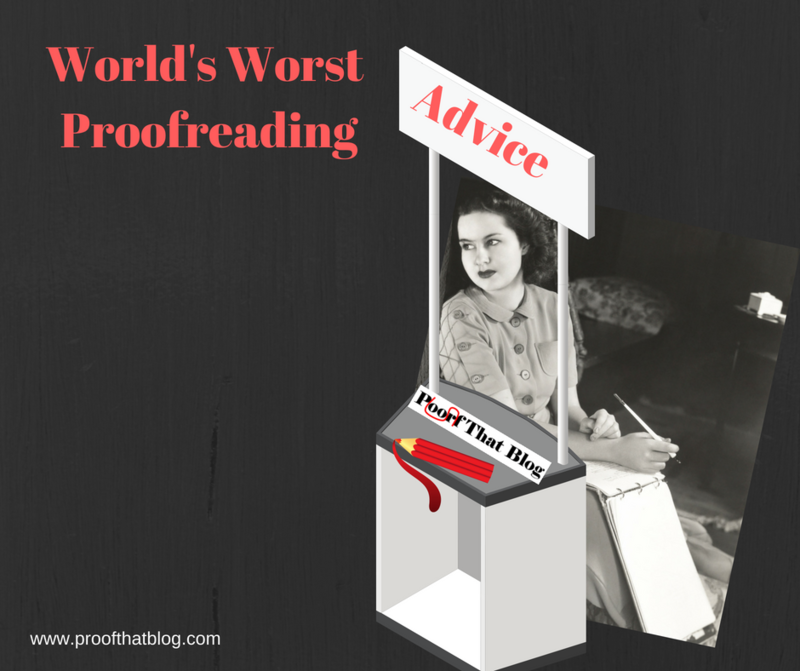 “It’s unnecessary to proofread. I read it as I was typing it.” This one makes me angry. First of all, the person typing it knows what it is supposed to say, so if they leave a word out on the printed page, they don’t see it because their brain included it while they were “reading” it. “Don’t take the time to proofread. This is a rush.” Seriously? If you are the last one to see something before it goes out to the court, opposing counsel, client, etc., you must take the time to proofread it. Your written work is your (and your firm’s) reputation. I can’t imagine much worse than another firm using your errors in one of their pleadings. “I copied another document and just changed a few things, so you don’t need to proofread it.” I have seen attorneys copy other documents to use as a template for a like document for a different client and forget to change the client name in one or two places. How do you think your client will feel when they get a bill for several hours of work drafting this document when their copy has a different client’s name in it, so they know you didn’t draft it from scratch and it shouldn’t have taken as long as your bill says it did. “The headings are fine so skip over those.” Headings are one thing that authors typically don’t read. They are focused on the “guts” of the language and don’t pay attention to the headings. Judges and opposing counsel look at headings first to figure out your argument or details, so headings are really important. “You don’t need to let me see your edits. Just make them.” For as long as I have been proofreading, I am not comfortable with making edits without the author’s approval. Sometimes I may think the wrong party is named when it is not or another suggested change may be questionable, but I want them to make that call–not me. “Don’t proofread the letterhead or the pleading caption. We’ve used those a hundred times.” Well, it could have been wrong a hundred times because no one is looking at it. Check to make sure the correct author and author information is in the letterhead, that your current address is there (although law firms never move, right? ), and that the parties’ names, the title of the pleading, and the signature line is correct, and the service list lists the current, active opposing counsel and their correct information (although lawyers never move and no party ever changes attorneys, right?). “Page numbers and footers are fine, just read the text.” Sometimes there are random hard page breaks or long “keep with next” paragraphs that throw off the spacing and page numbering. And sometimes the footers are from the previous document and don’t match THIS document. “You don’t need to worry about the numbers. I’ve made sure they were right.” Add then up anyway. If the numbers don’t work out, figure out why. Inaccurate numbers don’t help anyone and make it look like you aren’t paying attention. “You’re good at proofreading, you don’t need any more training.” Grammar rules change. The sentence diagramming in the 4th or 5th grade may have given you a good base, but you need to know things that have changed–like most style manuals have taken the dash out of “email” and the Oxford comma is necessary. “Don’t worry about the quotations, I checked those.” I find errors in quoted language nearly every time. Sometimes, it is the cut and paste from the original, but not cutting and pasting the entire thing (particularly if the language is on multiple pages), sometimes it is leaving a line out when retyping from another screen or hard copy, sometimes it is just typing the wrong word (like “is” instead of “it”). Just read and compare to the original language. “The formatting is fine. I’m only interested in the text.” The big picture formatting may look fine, but there could be lots of issues. Spacing could go from 1.5 to double to 24 space. Quotation marks and apostrophes could be straight in some places and curly in others. Some paragraphs may be justified and some may not. Microsoft Word styles may be used on some paragraphs but not on others. All of that makes a difference. “The judge doesn’t even read it, so don’t worry about proofreading it.” I have talked to judges and people who know and have worked for judges and they do typically read what has been filed so they can make a good decision. They, of course, prefer documents that are concise and non-repetitive. In addition, lots of judges consider themselves extremely interested in the English language so they pay attention to grammar details. If there are too many errors, it is nearly impossible for those people to read the entire document because they are focusing on the errors instead of the content. Proofreading really is important. It is worth taking the time to make sure your documents are right. In fact, it is one of the most important parts of the process. Hi Kathy. This is terrific and I’m going to subscribe to your blog. By the way, I work with Carl Morrison at The Cosmopolitan.